Scott Rigden, Managing Director of Urban Surveying and Design explains how No Use Empty has helped a local business to grow, whilst at the same time creating new homes on the former site of an Old Bakery in St Peters. 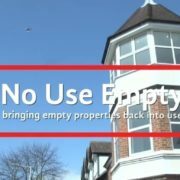 The No Use Empty campaign has been bringing empty and derelict properties in Kent back into use as much-needed homes for more than 5 years. A short film has been made to mark our anniversary with an introduction from KCC Regeneration Project Manager – Steve Grimshaw, followed by Property owner – Martin Neame on how the scheme helped his development and finally Thanet District Council’s Empty Property Officer, Mike Thompson on what the scheme has meant to Thanet.